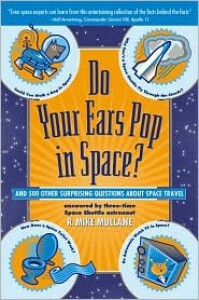 Update: While browsing the shelves at my favorite local second-hand bookstore, I was thrilled to discover a copy of Do Your Ears Pop in Space? that is signed by the author, NASA astronaut Mike Mullane. I may have actually squealed a little bit. Score!